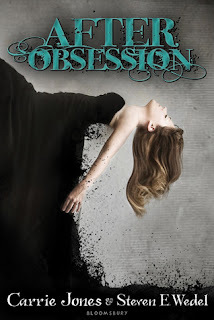 A Life Bound By Books: Review: After Obsession By: Carrie Jones & Steven E. Wedel + A Giveaway! Review: After Obsession By: Carrie Jones & Steven E. Wedel + A Giveaway! Review: 5 Stars - After Obsession By Authors Carrie Jones & Steven E. Wedel was everything I could have hoped for and then some. Written in a format I’ve come to love – alternating chapter points of view from two strong characters, which I loved, was the icing on the cake; easily making this one of my favorites for the year. Aimee might be a good girl who likes to avoid conflict, but that’s far from all she is in this strong memorable female lead. She’s extremely different and has her own set of secrets that she keeps close because of her past and her mother’s past. There were times while reading that I felt for her and the loss of her mother, which was an integral part of the events that happened from beginning to end. And then we have the new guy in town – Alan. Along with his Navajo Indian features, he’s a tall guy, built like the football player he is, long black hair, his dark clothing and metal band t-shirts made staying low key in a town where everyone knows everyone even harder. No flying under the radar for Alan. He’s a characters that I love from the first page he steps into and its stories like these and writing from both authors that made the characters and story exciting, emotional, creepy and sometimes even funny. I mean what I can say; I’m an Alan and Amiee fan, through and through. There needs to be more Alan and Amiee’s in the world that’s for sure. I couldn’t get enough of the story. It was the perfect mix of creepy with such sweet undertones as both Amiee and Alan came together to figure out how to save not only themselves but everyone else who might fall prey to the evil that’s lurking. As mentioned above, I’m a HUGE fan of alternating points of view, or multi points of view and after reading I felt that there was just no other way that this story could have been told. There just wouldn’t have been the impact that it had on me. Getting to know the characters, how and what they were thinking was what made me emotionally invested in these two and the quest they embarked on. With Jones writing Amiee’s side of the story and Wedel writing Alan’s I couldn’t wait to see how these two authors came together and wow, did it work out amazingly! With evil things happening left and right it was the romance and the witty dialogue that often made me smile or laugh, which in turn gave such a dark tale a brighter side that added so much more to the characters, writing and story. All in all I’m thrilled that I had a chance to read and review this one. With so much that I loved, After Obsession quickly has become one of my new favorites for this year. I have hopes that these two authors will come together again to maybe continue Alan and Amiee’s story or write something new. I know I can’t wait to see if these two partner up again for another book. I’d be without a doubt looking forward to any collaboration Jones and Wedel might have in store for us next. ARC COPY OF AFTER OBSESSION!! Please fill out the simple form below for your entry to count. Giveaway open to US residents only, sorry! After Obsession for this giveaway. Good luck to everyone who's entered and thanks so much for stopping by. 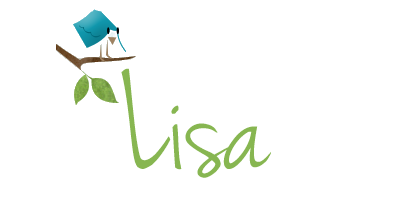 my policy page or feel free to email. Thank you so much for this giveaway! I LOVE the cover of this one and I am dying to read it! A cool cover. Never seen one like it before. I'll bet this is the best one. Great review I can't wait to read this book. Thank you so much for the great giveaway! Awesome review! Now I know I gotta read this book. Thanks for hosting the giveaway! 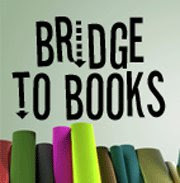 and thank you Bloomsbury for donating the book!